Plan and implement HR activities effectively and efficiently, in compliance with legal regulations and requirements, in order to meet HR target for recruitment, training and employment management. 6	Communicate and explain related HR policies to staff or related parties. At least 5 years working experience in HR. Good Computer Skill in Microsoft Office. English Cv is NEEDED for applying for this position. Headquartered in Germany, Coperion offers its customers in the field of plastics, chemicals and food industries with both individual solutions and integrated complete solutions according to its comprehensive and worldwide process engineering expertise. 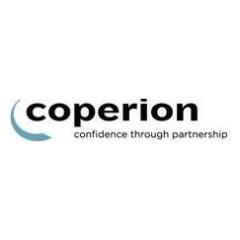 The unique competence and the worldwide installation, enable Coperion to supply its customers with innovative products tailored to their needs. On the basis of many years of experience, Coperion is in a position to provide individual support both to SMEs and to customers operating on a global footing. "Confidence through Partnership" – our organization and performance delivery are aimed at justifying the trust our customers have in us at all times, and in developing a long-term partnership together with our customers. Headquartered in Batesville, Indiana/USA, Hillenbrand acquired Coperion in Year 2012 and Coperion becomes part of the Process Equipment Group., Hillenbrand is a global diversified industrial company with multiple subsidiaries, most of which are contained within Process Equipment Group (PEG). The PEG is a recognized leader in the design, production, marketing and servicing of equipment and systems used in processing applications for a wide range of industrial markets. Any capable, innovative, and responsible candidate is welcome to join Coperion Nanjing and we will provide good package of compensation and benefits and broad career development area for successful candidate. Please visit http://www. coperion.com for more information.